Introducing the one of a kind 8-Bit Vector Social Icon Pack handcrafted by Daddy Design. We decided to venture into our 2nd attempt at Icon Pack creation and develop a truly beautiful set of vector 8-Bit social icons. Download the free icon pack now!!! 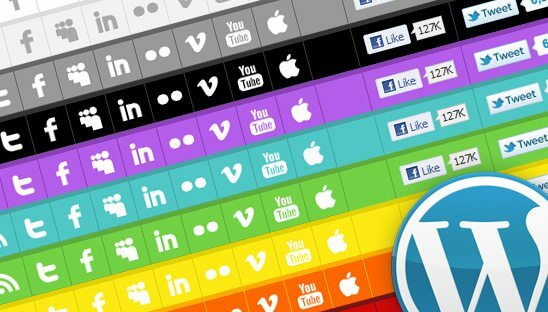 Wordpress Plugin for adding a highly customizable Social toolbar with color selection, social network icons, recent tweet status and share buttons into footer. FREE Social network Icon set that are shaped as puzzle pieces that interlock together.